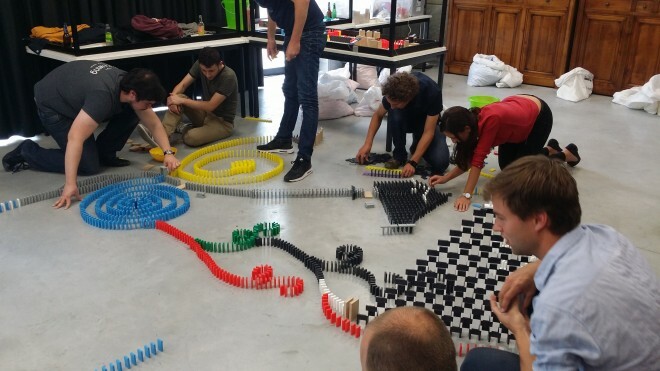 Domino Challenge in teams : Enjoy a magical moment as you topple over your first domino piece! This activity requires a strong sense of teamwork, creativity, communication, concentration and team cooperation. It also calls for trust in your partners, time managing and team spirit, as well as precision and meticulousness. 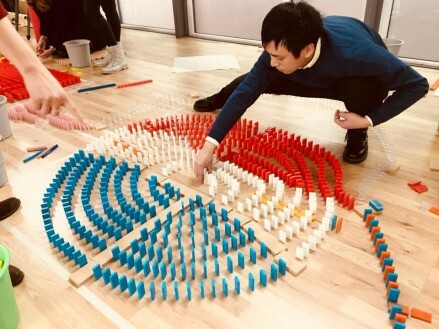 As in fact, one single misplaced domino can threaten the whole rally. Participants will be divided into teams, equipped with the necessary tools and assisted by our professionals. Each team conceives and builds their circuit by integrating imagination and creativity: “Imagination is the only boundary! " You will be competing in teams to build the most animated, original, creative and extraordinary circuit that will be selected by our jury. A diploma will be awarded to the best team. 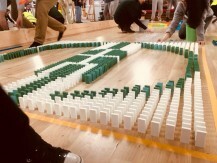 The Domino Challenge is an activity that promotes the spirit of competition and team cooperation while having a lot of fun… Let's domino!